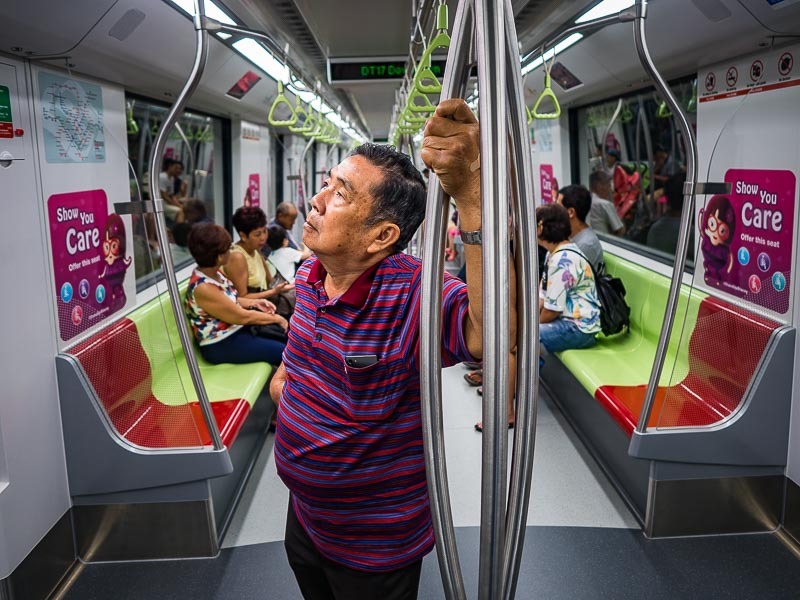 A passenger on Singapore's new extension of the Downtown Line subway train checks out the route map on the first day of service. Singapore, the tiny city-state that consistently hits above its weight class in urban planning, is on the way to becoming a "car lite" city. 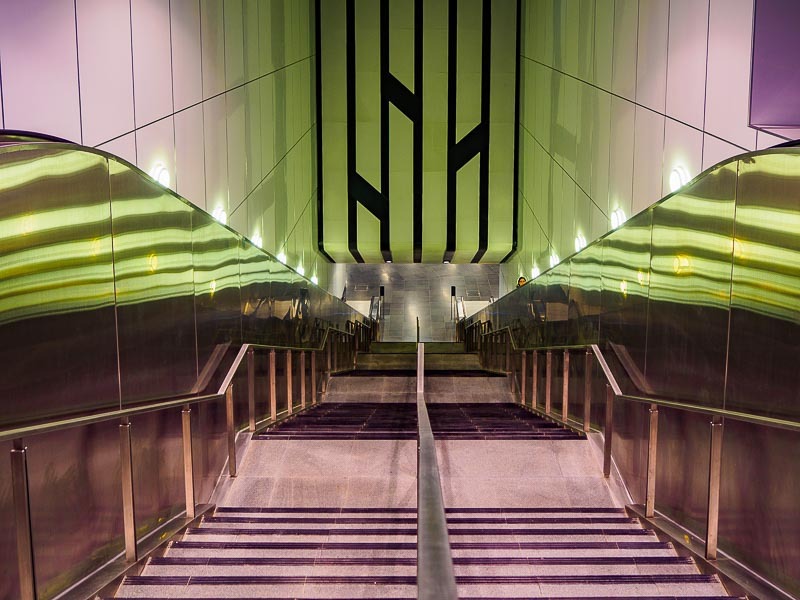 The city opened an extension of the Downtown Line subway this weekend and has plans to open more new lines and expand existing subway lines every year. 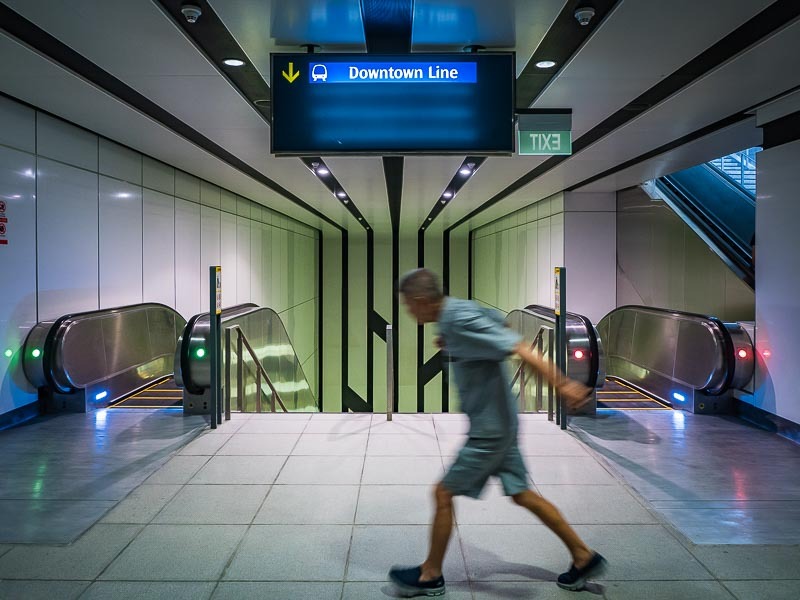 Ultimately, Singapore hopes to have a subway stop within a 10 minute walk of every housing development in the city. The entrance to Rochor station, on the edge of Little India, on the first day of service. Singapore's subway is a wonderful thing. It can get you to most of the important parts of town with just one transfer. And Singapore understands the "last mile" concept. Bus lines connect to the subway system so people who live in the vast housing estates on the edge of the island can catch a bus to their home when they leave the subway. A passenger walks into Rochor station. This means most people don't need a car, at least when they are in Singapore's central business district. I like Bangkok's mass transit and use it every day, but there is no planning for the last mile. When I get off a Bangkok Skytrain (or subway) I usually still have to take a taxi. Phoenix's terrific light rail was even worse in that regard. 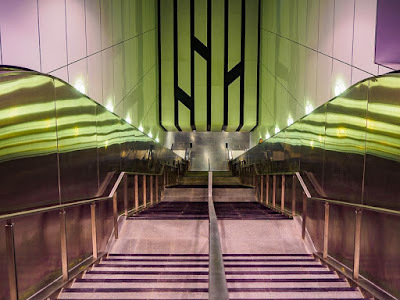 The one line could get you from the northern suburbs to downtown and on out to the eastern suburbs but once you get to your destination you still need a car. Downtown Phoenix is walkable and Tempe, around the ASU campus is walkable but the suburban stops are not. Your car use is reduced but not eliminated. A subway train goes through the underground darkness. 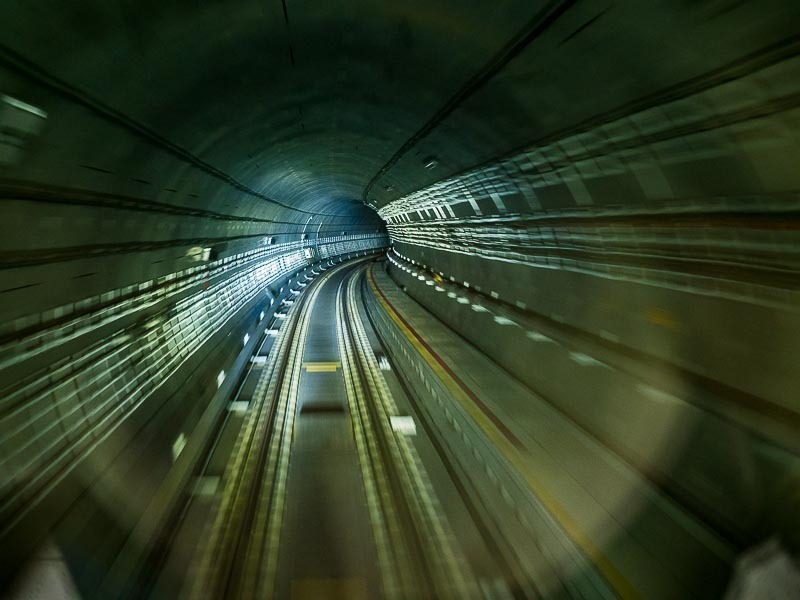 Singapore's state of the art subway system is robotic. There are no drivers on the trains, the trains are remotely driven. We visit Singapore on a pretty regular basis and the only time we use taxis or cars is when we go from the airport into town. It's just easier when you're juggling baggage to sit back in a taxi and go straight to the hotel. But once we're in the hotel, we use the subway and mass transit exclusively to get around. It's fast, reasonably cheap and fun. I only wish other cities matched Singapore's dedication to mass transit.